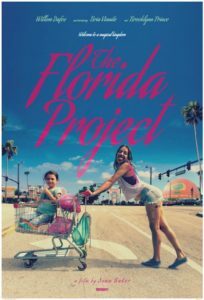 Starring Bria Vinaite, Brooklynn Prince, Valeria Cotto, Willem Dafoe, Caleb Landry Jones and Macon Blair. In the shadow of Disney World is a motel called The Magic Castle. Among the residents is six year old Moonee, who spends the summer months getting into mischief with her friends. But life isn’t always magical. What little girl wouldn’t want to live in a purple building called The Magic Castle? Have a friend who lives in Futureland? And, as she walks along the road, goes past buildings which look like a giant orange or a massive ice cream cone? It’s like a giant playground, a living wonderland, full of opportunities for youngsters to create fun and be just a little bit naughty. 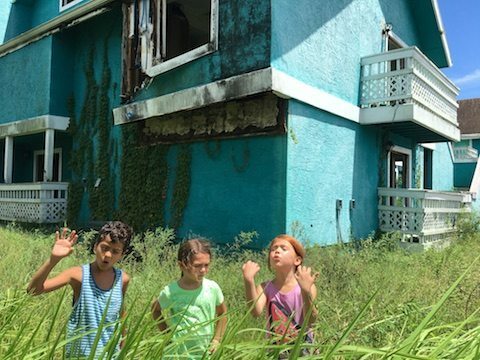 Which is exactly how Moonee (the superlative Brooklynn Prince) and her friends spend the summer in Sean Baker’s The Florida Project. 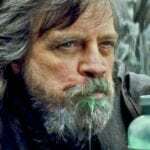 The second offering from the director who caused more than a few ripples with his i-Phone shot Tangerine demonstrates that the promise we all saw in his first movie is a reality. He’s no flash in the pan, no one hit wonder. 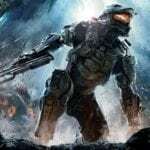 As before, he offers us a slice of life in today’s America, another group of people getting by and managing to survive. This time his eye is on the hidden homeless, living in motels where ends very rarely meet. And it’s presented as a brilliant dichotomy, two scenarios that are poles apart yet held together by one little girl. That purple Magic Castle is a motel, mainly occupied by families but with a few rooms let to tourists naïve enough to believe they’re coming to Disney World. For visitors, it’s the cheap end of the market: for the residents it’s the only home they can afford – barely – and it’s a world where there are very few men on the scene. Those that make fleeting appearances are there to be exploited, mainly by Moonee’s mum, Halley (Bria Vinaite) and her ticket scam or when she is forced to work as a prostitute. There’s one man, however, who is a permanent fixture, and that’s motel manager, Bobby (Willem Dafoe). Give the actor his due. He’s not fazed by working with kids, even the precocious little Miss Prince, nor is he flustered by animals although, in this case, they’re birds. Three enormous cranes which turn up one morning and are uncannily human in their behaviour. He may be the manager of the motel, play by the rules and be strict with his residents, but he has a compassionate side and is the nearest thing to a father figure that just about all of them have. Brooklynn Prince is funny, cheeky, has loads of attitude but, in the blink of an eye, can break your heart. And does. Especially when she cries her eyes out in front of her best friend. All the impudence, the language and the posturing fly out of the window and you see her as she really is. A vulnerable little girl. Until then, she’s having fun with her friends and causing mayhem. In fact, while mum Halley is trying to earn some money, the children are pretty much allowed to do as they like in their tawdry wonderland – scrounging ice cream from kind hearted tourists is just the start. Baker has made a fresh, uncompromising film which is funny on different levels – the dialogue, the children’s humour and physical comedy all come into play. There are times when you laugh at the children and shake your head at the same time, because what you’re watching also has an inescapably serious undercurrent. Not that the children realise that – and, eventually, it rises to the surface. But, despite the film’s more serious side, it also has something in common with the world as seen through the childrens’ eyes. It’s magic. 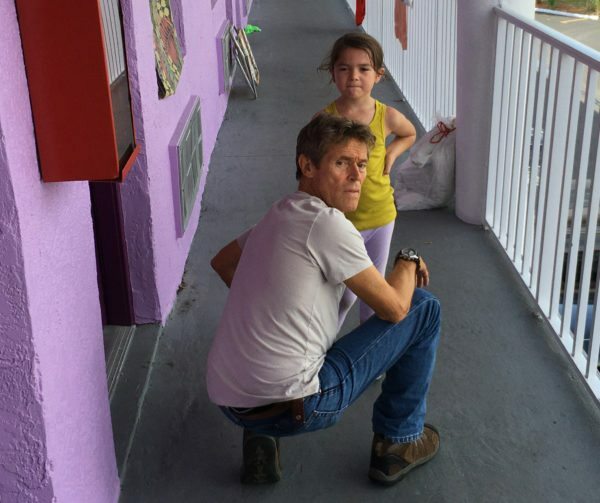 The Florida Project was screened at the 61st London Film Festival and is released in cinemas on 10 November.